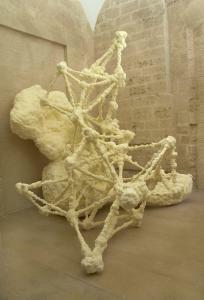 SCAI THE BATHHOUSE | Exhibitions | Past | Kohei Nawa "GUSH"
Kohei Nawa was born in Osaka in 1975. 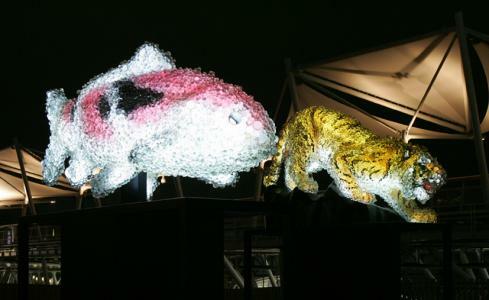 Since completing a Ph.D in fine art sculpture from Kyoto City University of Art in 2003, he has won several awards including the Kirin Art Award 2003, confirming his reputation as an up-and-coming young artist whose work is highly regarded both in Japan and overseas. Together with the influence of British sculpture derived from his experience as an exchange student at the Royal College of Art, one can also discern in Nawa's works the development of the Japanese sculptural approach of focusing on the "outer layer." 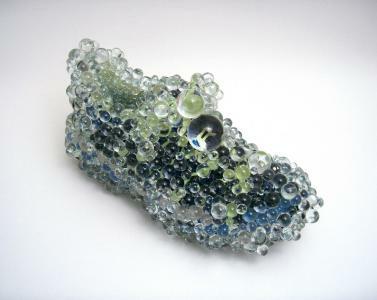 Nawa's sculpture series include works consisting of various objects purchased in Internet auctions, such as toys and stuffed animals, that the artist has covered with transparent glass beads or placed in prism boxes. First, through searches using key words, he finds an object from the sea of information on the Web and perceives it as a digital image on a computer screen (first contact with the object). Next, once the object has come into his hands, he experiences its actual physical presence (second contact). Then, by adding the effect of glass beads or prism box, the object is presented as a work emerging from the new order of the information society. 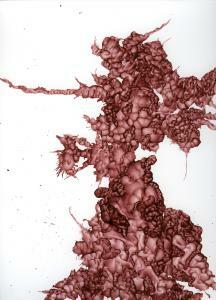 These works reveal the uncertainty of the position of reality between seeing and perception. Kohei Nawa's artistic expression springs from his awareness of the "outer layer" on which our perceptions depends. 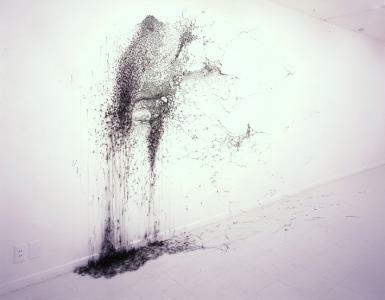 It takes various other forms, such as drawings produced through finely spun webs of ball point pen ink or glue and works created with materials such as silicone oil or polyurethane foam. These works open our eyes and senses to different kinds of materials and media, causing us to experience a new dimension of perception. In addition to existing as actual objects, they also constitute a fresh approach as devices that manipulate perception by undermining our sense of reality through the alternation of existence between real objects and virtual images, or by becoming media that act on our senses. 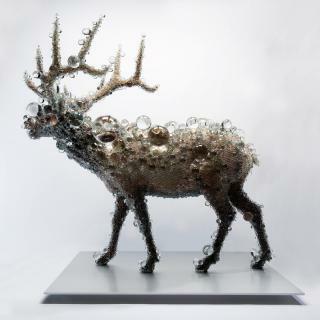 Kohei Nawa is an artist with a new language that reflects the current information society of the 21st century. This Kohei Nawa solo exhibition at SCAI THE BATHHOUSE will feature an enhanced and newly developed version of the work "Scum", which was first exhibited at the 3rd Valencia Biennale, Spain, last year. Using materials such as polyurethane foam and glue, the work gushes out and wells up with such force that it seems to engulf the whole exhibition space. 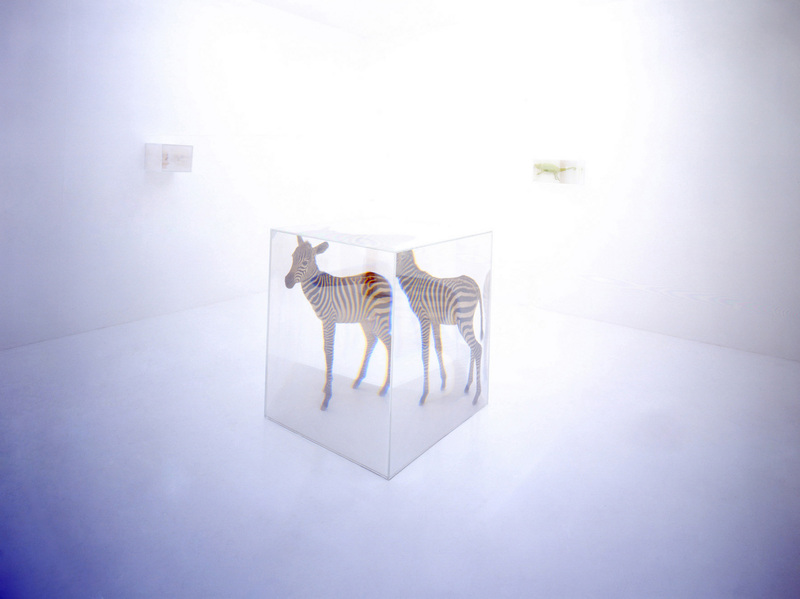 Don't miss the chance to witness this new and exciting chapter in Kohei Nawa's development as an artist!